For centuries in Japan the cold pressed oil of sweet camellia seeds has been used for the protection of fine blades, tools, and weapons. 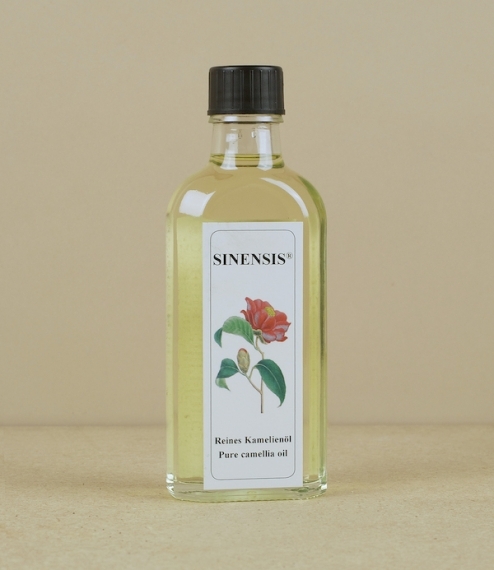 As an acid free non-drying oil which is food safe and non-toxic it is ideally suited for the sharpening and rust protection of carbon steel kitchen knives, and garden tools. It can also be used as a treatment for culinary wood-ware, and chopping boards, as a massage oil, and in the preparation of soap and skincare lotions. 100ml. Due to postal restrictions we are unable to send this item outside the UK.